LOS ANGELES, CA--(Marketwired - October 27, 2016) - California criminal defense attorney Darren Kavinoky is the Founder of 1.800.NoCuffs, and the co-creator and host of Deadly Sins on Investigation Discovery, now in production for its sixth season. Kavinoky, who is also an on-air legal analyst for several national networks and shows, has delivered on his mission to bring people peace of mind with the release of a free downloadable 1.800.NoCuffs California Legal Guide. Chock-full of valuable information, the Legal Guide addresses county-specific information for all types of criminal cases, especially DUIs. Just as Kavinoky's media success has been drawn from his ability to translate "legalese" to plain language, this guide relays valuable information in an easy to understand format. 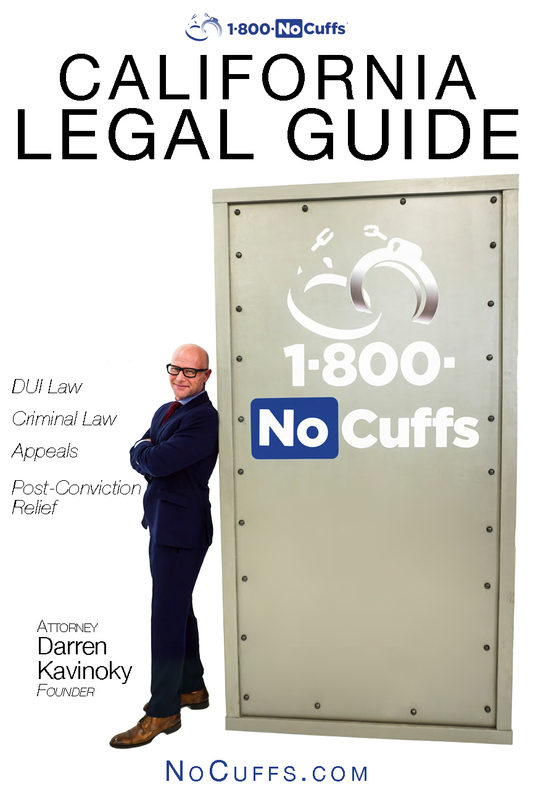 The free 1.800.NoCuffs California Legal Guide is a legal resource like no other, and promises to redefine what it means to provide clear cut answers to commonly asked questions. Whether you are looking for information on saving your driver's license after a DUI, or wondering how the criminal court process differs for misdemeanors and felonies, and how this can be used to your advantage, this is the essential legal resource to have in your back pocket. Darren Kavinoky is the co-creator and host of the hit TV show Deadly Sins on Investigation Discovery. He is also the co-host of Did He Do It? and the featured "criminal interventionist" on the ten-episode special (nominated for a PRISM-award) Breaking Point, also on the ID network. Darren is also a certified interventionist, attorney and legal analyst, and "misbehavior" expert who appears constantly on the Today show, The View, Entertainment Tonight, The Insider, Dr. Phil, and various shows on CNN, HLN, Fox News, and countless others. He is the founder of 1.800.NoCuffs-The Kavinoky Law Firm and is known as an award-winning criminal defense attorney. The American Trial Lawyers Association has named him one of the "Top 100 Trial Lawyers in California" each year since 2007. Los Angeles magazine has identified Darren as a "SuperLawyer" every year since 2010. Darren received an "AV Preeminent Rating" by Martindale-Hubbell (a peer review ranking that signals the highest level of professional excellence and ethics); a perfect 10.0 Rating by Avvo.com (an independent attorney ranking site), and many other accolades. 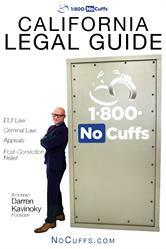 Darren has also authored three legal textbooks for major legal publishers in the field of criminal law.